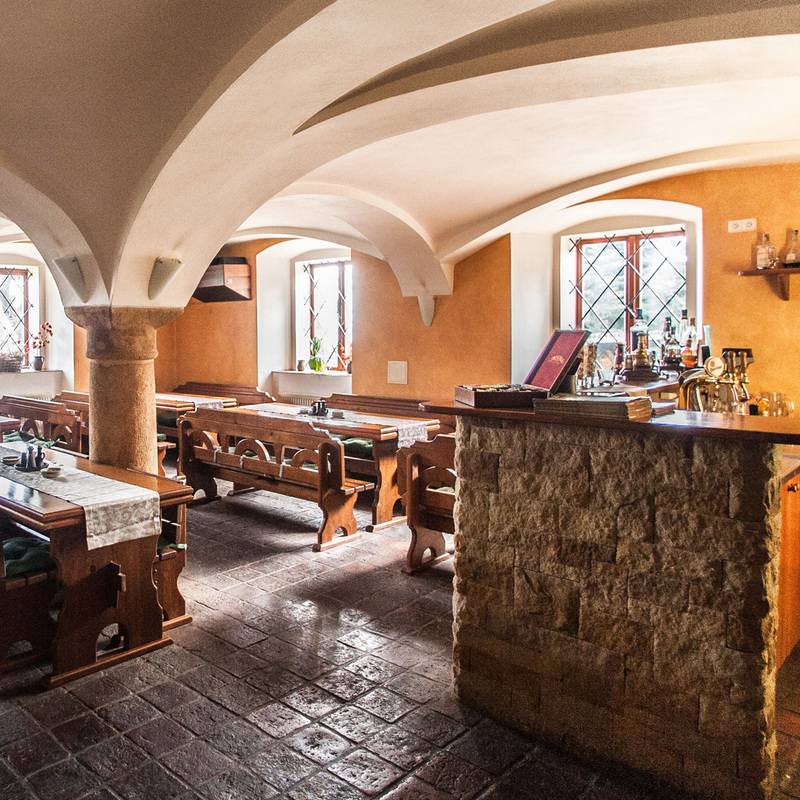 Stylish restaurant offers you cozy atmosphere to have a good lunch or dinner with your dears, friends or business partners. 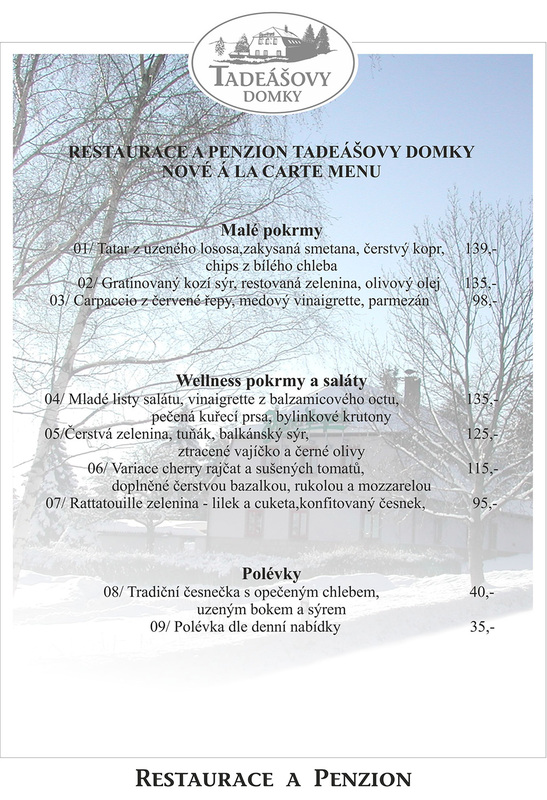 You can celebrate here family anniversary, private or business success or just sit by good coffee, dessert or wine. 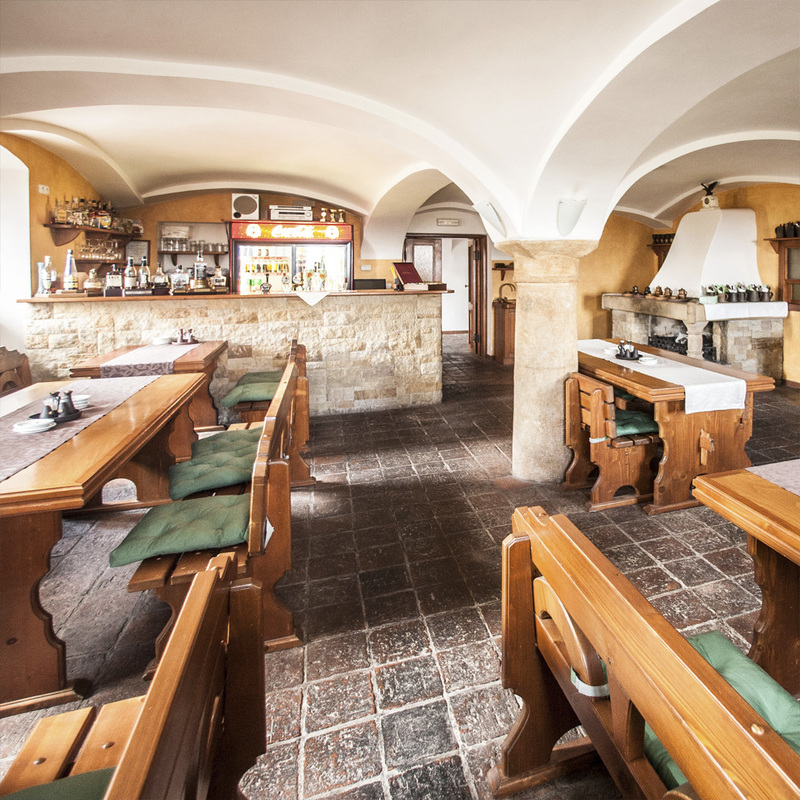 Firms can find here representative background for dinners with their colleagues, clients or business partners. 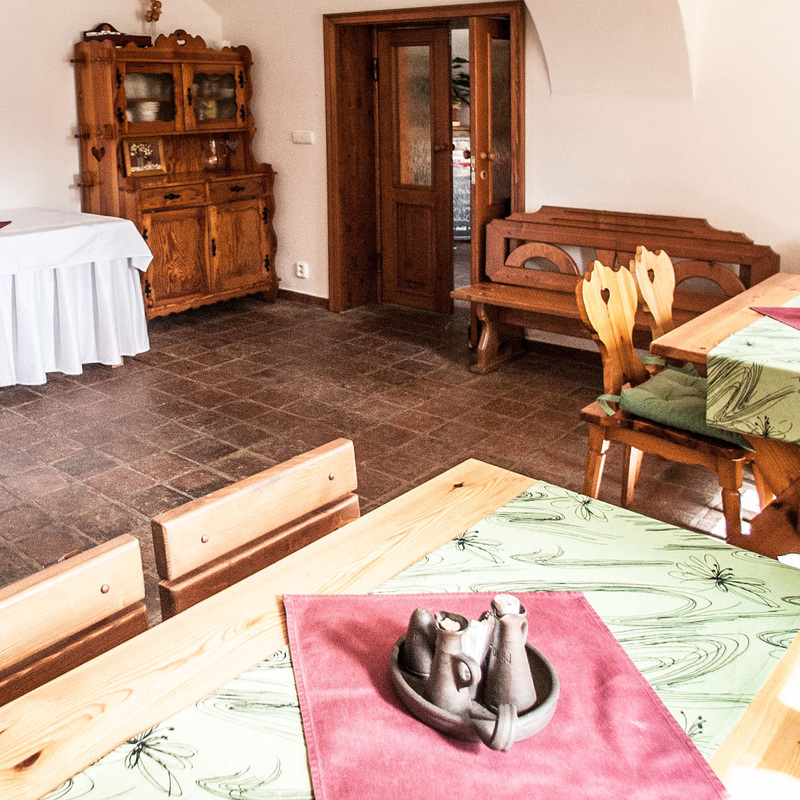 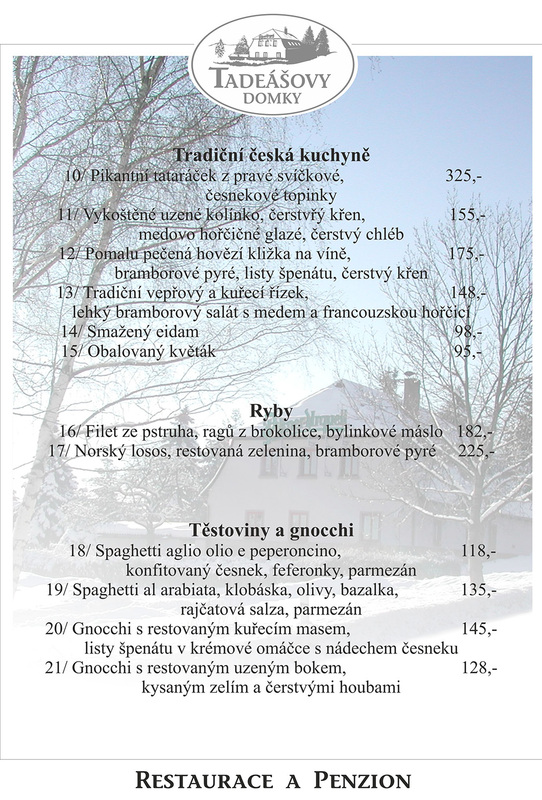 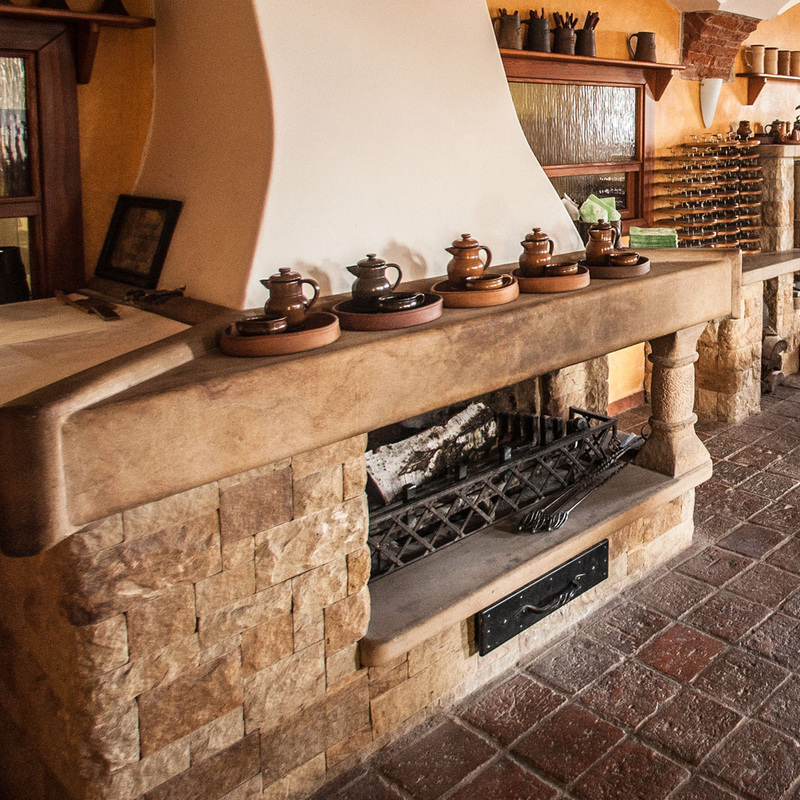 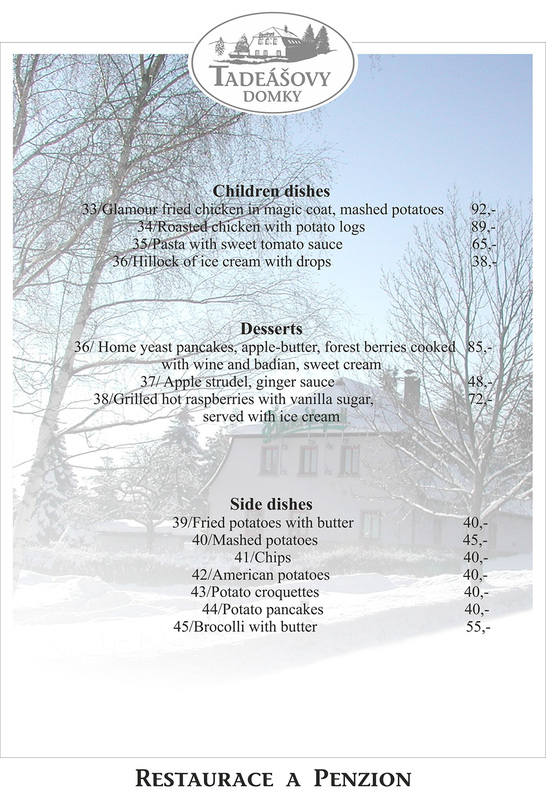 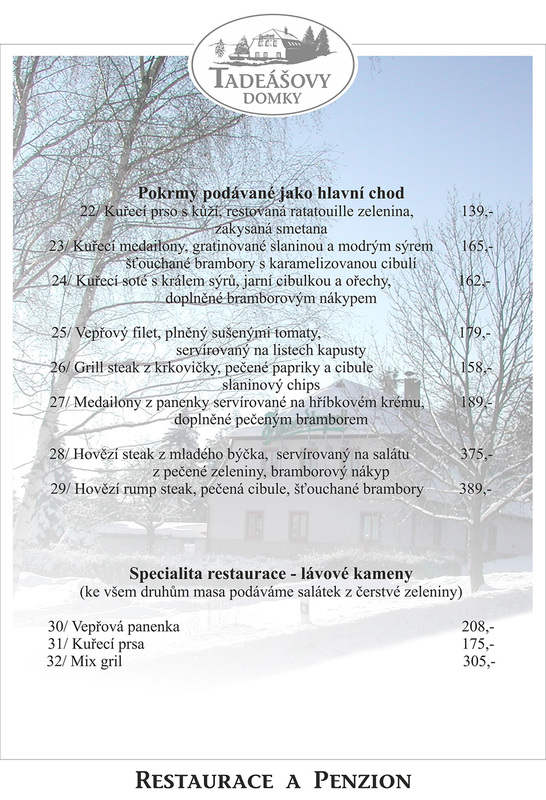 Our MENU offers variety specials of Czech and international cuisine or specials of the house (roasted duck, goose, grilled pork knuckle, speciále made on lava –grill stones).